Irvandi Ferizal, Human Capital Director of Maybank Indonesia, shares his expertise on employee engagement and experience in the age of millennials in an exclusive interaction with People Matters. 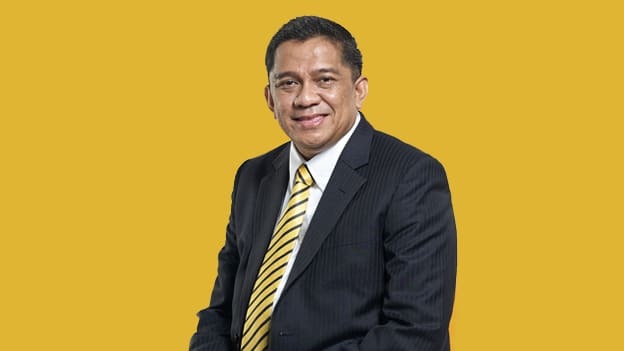 For Irvandi Ferizal, currently the Human Capital Director of Maybank Indonesia, employee engagement and experience are crucial pillars of human resources. As an expert talent leader, Ferizal has worked in industries varying from logistics, FMCG, telecommunications and now the financial services. Having amassed a versatile experience in the field of HR during a career spanning more than 27 years, he believes that people’s need to perform meaningful work remains unchanged. In an exclusive interaction with People Matters, Ferizal shared his thoughts on designing a holistic employee experience and the changing role of HR in Indonesia. Describe your journey as an HR professional having worked in a variety of industries. I started out my career as a Training & Development Manager with PT Kalbe Farma, a pharmaceutical company. Within five years, I moved to the Indonesia office of TNT Express and Logistics where I got the opportunity to work as the country HR director. After working for 12 years in the logistics industry, I moved to the mobile and telecommunications’ industry and joined Nokia Siemens as Head of HR for Indonesia’s subdivision. After about four years in the telecom industry, I worked in a similar profile for Mondelez International which was previously known as Kraft Foods. About five years ago, I ventured into the financial and banking sector and joined Maybank Indonesia as their Human Capital Director. I am so glad to have such a varied exposure to so many different industries. I believe, as an HR professional, working in multiple sectors makes me more insightful into the human capital needs across the board. It builds a versatile skill set and gives an HR professional more wisdom to understand all industries. At the same time, in reality, every industry requires a similar human touch. Human capital is all about people processes. The product changes but the needs of the people remain the same. Employee engagement is your forte. You have even been awarded as the Best Human Capital Director for Employee Engagement in 2018. In your experience, what are the challenges that an HR professional faces in Indonesia when it comes to designing a holistic employee experience? One major challenge that faces the HR heads in Indonesia is the mindset. Most people think of employee engagement in terms of the number of extra-curricular activities conducted at work. For example, HR professionals might think they have highly engaged employees if they have successful musical activities or a family day. However, even after all these activities, HR leaders like myself find out that employees are still not engaged. That could get frustrating for the talent leaders. Employee engagement is an aspect of HR’s function that needs to be looked at in light of the whole organizational architecture--I’m talking about the leadership, talking about the policies, the rewards’ system and understanding consequence management. It is not just about having joyful employees. We must look at it from the lens of total employee growth--both professional and personal. Another challenge facing the HR world in Indonesia when it comes to generating employee engagement is the transformation of the traditional role of HR as a facilitator to the modern role of a navigator. I think the new style of human capital management and human resources capability should be more like a navigator. You must lead to help the business get where you want it to go. Even when you are thinking about employee engagement, it is important to identify the final goal. Without engaged and dedicated employees, for example, it is difficult for the business to achieve the targeted numbers or profits. In order to excel in the field of employee engagement, HR leaders must not only think of themselves as a partner but a business player and a marketing personnel. Engaging potential employees with the product first and then engaging them with the brand is crucial to instill a sense of pride among the employees. You can’t do it by yourself. Collaboration is key! You must involve all the stakeholders. Can you share some examples of Maybank Indonesia’s employee engagement initiatives that helped you win this award? The event was called Indonesia’s Human Capital award is given out by a business school’s magazine in Indonesia. We won the award as a whole organization. As the Human Capital Director, my colleagues looked towards me and my team to drive employee engagement. We undertook the task as a program driven by the leadership and not just an HR initiative. It was an exercise in communicating with our employees, involving team leaders and directors who directly work with the people. Through these conversations, we realized that we had a diverse group of employees who needed a variety of support systems. For example, we provide our Muslim employees the time and freedom for prayer during the day and holidays during the Eid festival. Another initiative is to ensure the physical and emotional well-being of our employees. We arrange for confidential meetings with psychologists and counsellors regularly for those who need it. During the earthquake, for example, we arranged these sessions to help employees process the trauma and release this stress. Corporate Social Responsibility is important for our organization as well but our aim not just gifting money to people but support the community directly. What is the employee experience today in the finance industry in Indonesia? And what are some of the changes that you would like to bring? The entry of millennials in the workforce has changed the way the banking industry now looks at designing a meaningful employee experience. In reality, millennials seek out a rewarding experience. They try to create a connection through technology everywhere they go. They are looking for flexibility in their work both in terms of the working hours and the types of roles they fulfill. I think the financial industry in Indonesia is becoming more aware. Although, I must say that the term “employee experience” is not common in Indonesia. People are familiar with customer experience but not employee experience. At Maybank we are also undergoing changes in order to improve the employee experience. Our business objective is to humanize the process of banking and make financial services easy for all. Similarly, from the human capital perspective, we want to ensure that we are humanizing the recruitment process. For example, before a candidate joins the organization, they get a welcome email directly from me. Small things such as meeting up with entry-level employees on their first day and conducting an induction meeting in-person can make a difference in the employee’s commitment to the organization. Another aspect of employee experience is when someone gets recognized for an achievement. Even if there is a monetary component attached to the recognition, it is important that the immediate managers huddle up the team and have a stand-up meeting to say well-done! Money is money. But the emotions matter too.